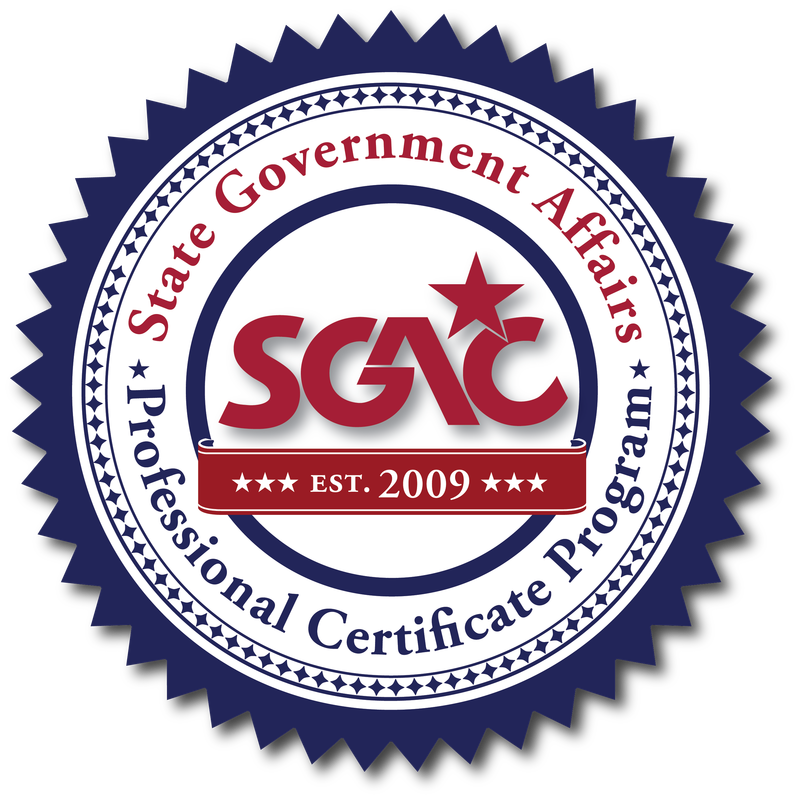 ​SGAC's State Government Affairs Professional Certificate is the only program designed specifically for state government affairs professionals. Trainings are designed to strengthen and engage SGR professionals with core curriculum which exposes them to key competencies for state government affairs professionals. The program includes elements that will provide both a successful foundation for new employees and necessary tools for seasoned leaders. In order to complete the program, enrollees must earn credit in 6 mandatory competencies and 6 elective competencies. ​Join your colleagues to get ahead and stay ahead in the industry! ​​SGAC offers a variety of forms to earn credit for the certificate program. Enrollees can take advantage of the flexible program schedule by earning credit with SGAC's webinars (live or on-demand), at National Summit and Leaders' Policy Conference, and with regional training sessions throughout the year. Graduates of the Certificate Program are awarded their framed certificate at SGAC's Annual Business Meeting. Graduates are also announced in the SGAC Annual Report and newsletter. experience ​in the Certificate Program. ​How long does it take the average enrollee to complete the professional certificate program? The program is designed for busy SGAC members to continue their education with a specifically designed program for state government affairs professionals. Classes are open to all SGAC members, but only those enrolled with the certificate program will receive credit. Credit can be earned at the National Summit, Leaders' Policy Conference, with webinars (live or on-demand), and during seminar trainings. 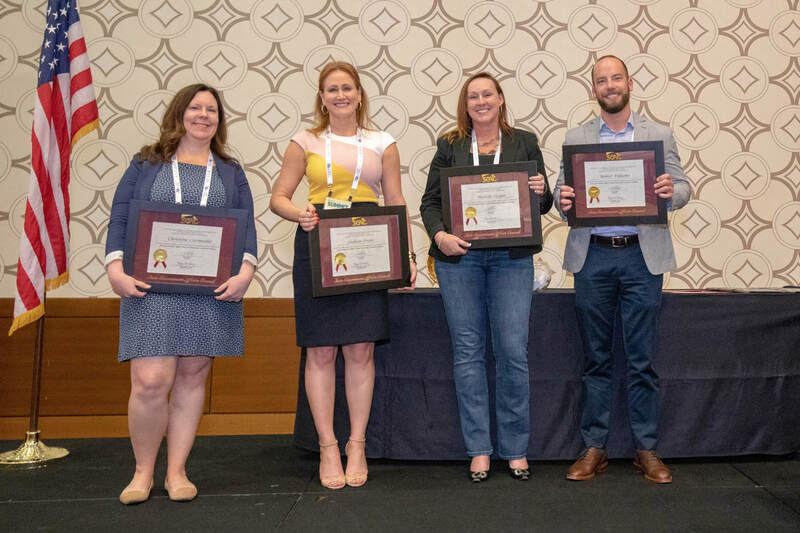 The seventh graduating class was recognized at the 2018 Member Business Meeting & Lunch.